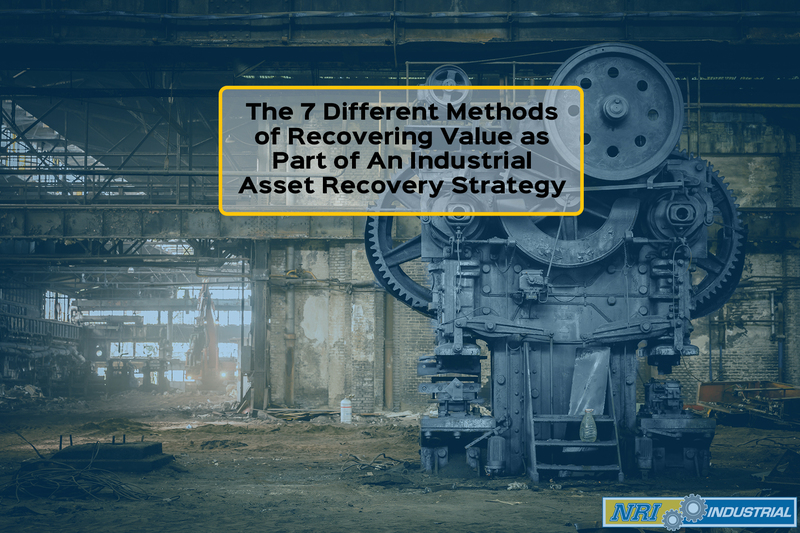 When you are looking to recover or maximize the value in your used industrial assets or surplus MRO, you have many options based on your investment recovery strategy. Before tying your company or yourself to an outside company it's best to conduct initial research. When selecting an industrial asset recovery company, you want to select a company that has had success and is able to prove it. Look for clear and simple social signs that this company is as good at industrial asset recovery as they may lead you to believe. Does this company have case studies detailing exactly what they have done for other clients? More importantly, does this company share the results of the projects? You want to work with a company that is not scared of promoting itself and being able to prove its brilliance at the tasks. It's one thing for the company to tell you their story and about the success, they can generate the other aspect would be what their clients say. Does this industrial asset recovery company hide their client list or have no testimonials or feedback across their platforms or does the company allow their clients to represent their success as well? The final aspect to be on the look for when looking for a company with a history of success is how long has this company been able to sustain their success. As you may know most companies fail, the majority of which (50%) fail within the first 5 years while over 70% of all businesses fail after 10 years. 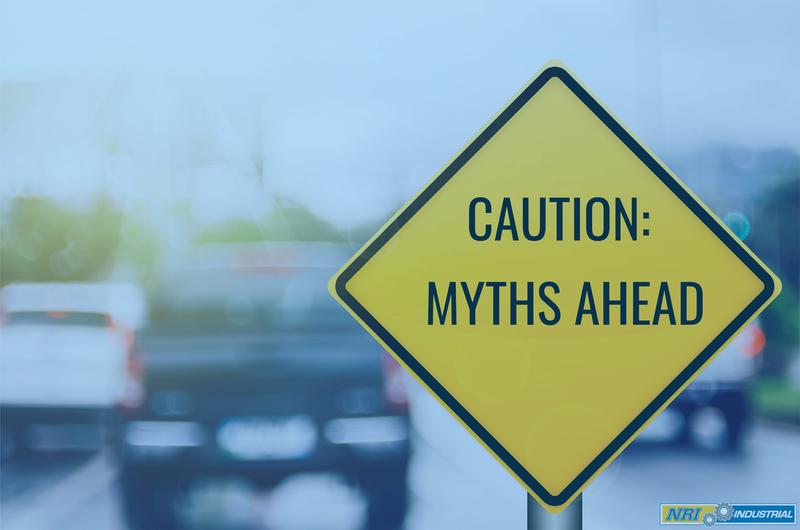 This means be careful which company you select when reviewing options look for a company with social proof, strong statistical data and companies that have been in business for a long period of time. By checking all these boxes your chance of picking a good asset recovery company will increase dramatically. Anyone will tell you communication is one of the most important things in business, as such you want to build a relationship with an asset recovery company where communication is easy to understand and is frequent. However, not all communication is verbal like a meeting or even a phone call. The best companies will communicate with you in multiple ways. Executing sophisticated asset recovery strategies can be a long and drawn out process. There are likely bits and pieces of information that you do not know. 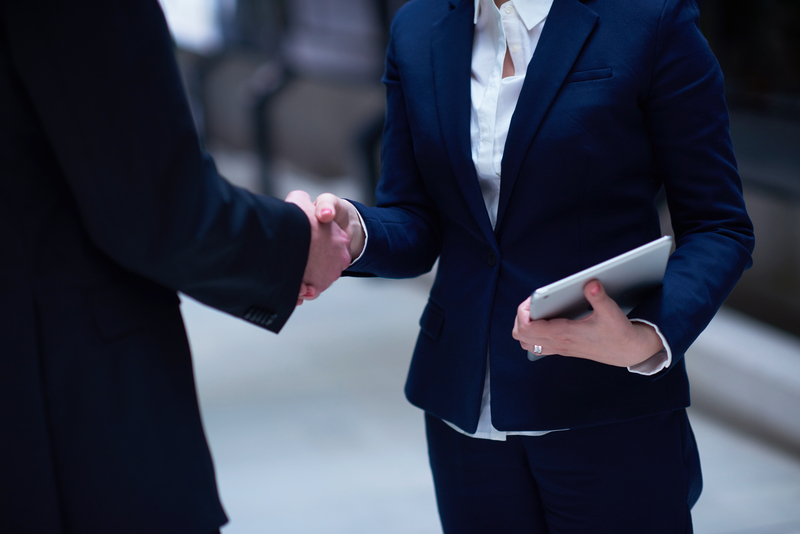 Even if you have the expertise to carry out an asset recovery on your own, dedicating the time and the manpower to do so may take valuable resources away from your core competencies. There is absolutely no need to do this if you have a partner that you can easily communicate with to outsource the more intensive parts of your strategy. Another form of communication some may not immediately consider would be reporting and the importance of this information. Do you have clear insight into what is happening with your assets and when? Many asset recovery companies want to get their hands on your equipment and promise a quick turn around on these items but once you hand over the items you don't hear anything back. You want to look for a company that has clear reporting and an easy to use dashboard showing everything from items sold, to amount of money earned from the sale to what activities have been conducted to sell said item. The particulars of organizing an industrial asset recovery can be daunting. However, the overarching strategy is something that all interested parties can and should participate in. 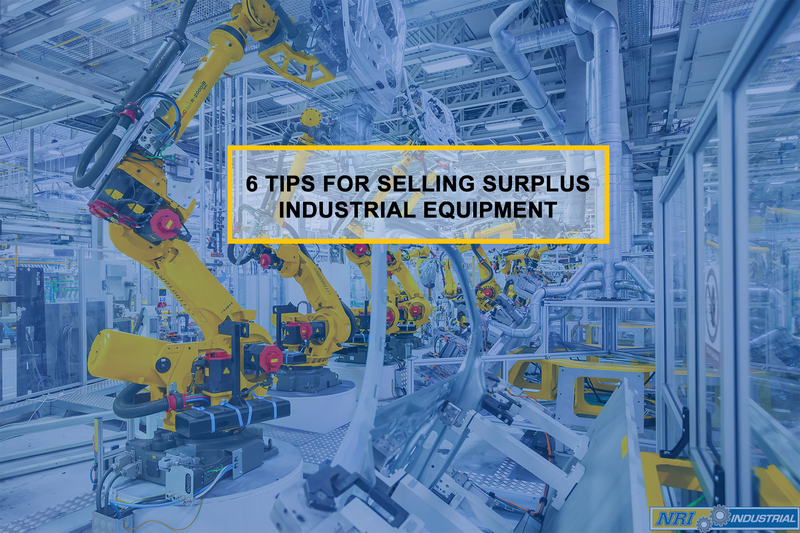 The firm selling industrial equipment may not understand the back end website database that is necessary to keep up with and organize everything, but other aspects may be important such as potential buyers and timelines. The strategy that organizes the timeline of sales and the products chosen to sell are subjects that require information from the seller as well as the asset recovery expert. The strategy that informs the sales process will be slightly different for all companies depending on their individual characteristics. Certain companies may choose to keep large assets for a longer period than others. Still, others may have an in-house maintenance staff that provides low-cost repairs on aging equipment, providing a longer timeline before a sale needs to be made. Regardless of the tactics involved, your industrial asset recovery firm partner should be able to lay out a plan that you can understand from front to back. You want to find an asset recovery company who makes you understand the strategy and more importantly helps you feel a part of it. Can your asset recovery company roll with the inevitable curve balls of the sales process? Industrial equipment, especially large pieces that are sold at scale, face a process that is sometimes convoluted. The selection, marketing and distribution process is almost individual according to the individual characteristics of the piece of equipment being sold and the standards of the company. The market also changes in ways that cannot be predicted. The assets that may sell today may not sell six months from now or even six weeks from now. Buyers are also looking at many different sources of equipment. If your timing is off, then you may lose the opportunity to sell a vital piece of equipment that would otherwise be very difficult to sell. The flexibility that a recovery partner provides keeps your in-house team from having to perform tricks to keep up with the changing tides of the market and the company itself. A specialist that has experience with the twists and turns of the process will be able to get out in front of the changes, ensuring the most value from the process. The industry of industrial equipment is a huge opportunity for sellers who prefer loyalty and longevity to individual sale. Successful companies are always in the process of replacing or upgrading infrastructure. 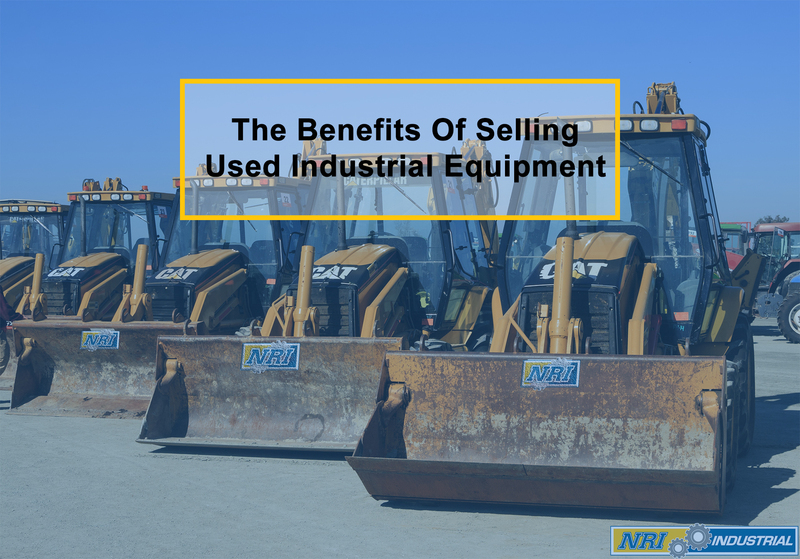 These companies have a constant flow of old equipment that they are looking to move in some way, whether through an asset recovery sale or another option. The real money is not from the individual sale of a large item. 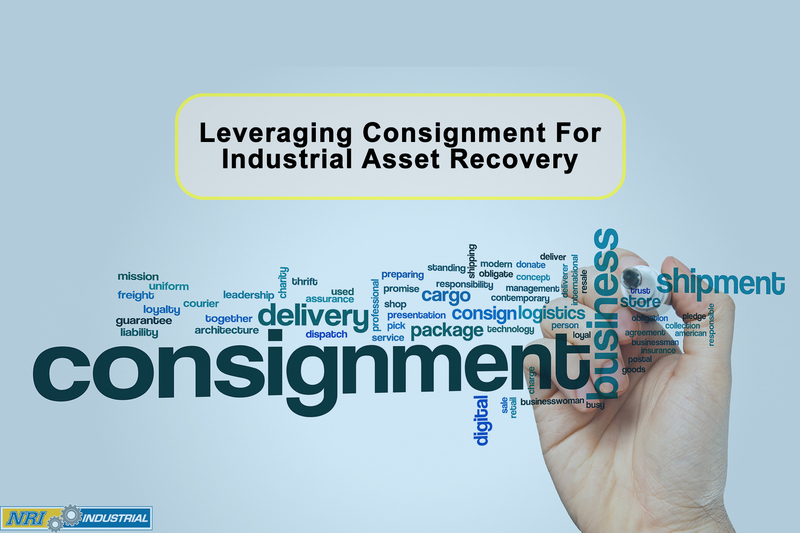 The savvy industrial asset recovery firm looks to partner with a company to create an ongoing sales flow to keep old equipment moving out of the infrastructure and into the market. 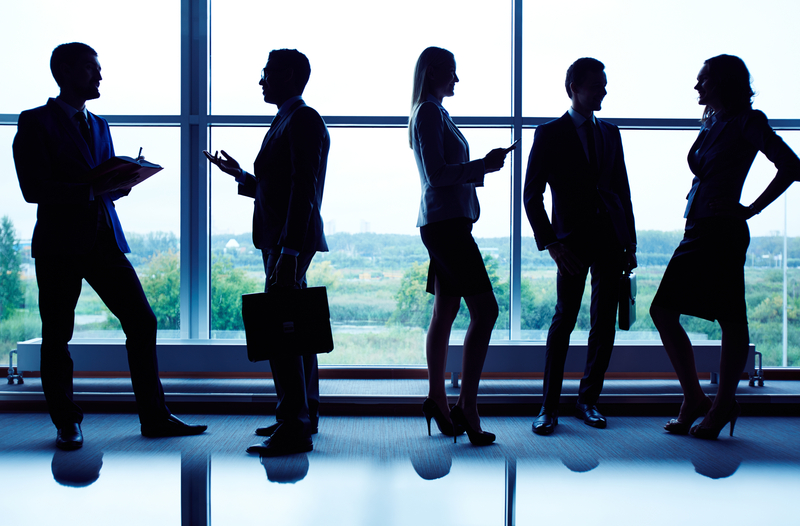 Creating a flow of sales traffic, so to speak, is the trick that allows companies to maximize the value received from each outgoing asset as well as the process that moves the asset through the company. Other companies who are looking for the quick buck may eschew these long-term values in order to make a short term sale. Although these fire sale tactics may work for a while, any savvy company will eventually have enough data to compare the value received. Once a company finds out that a partner is selling assets short, it is only a matter of time before it finds a better option. 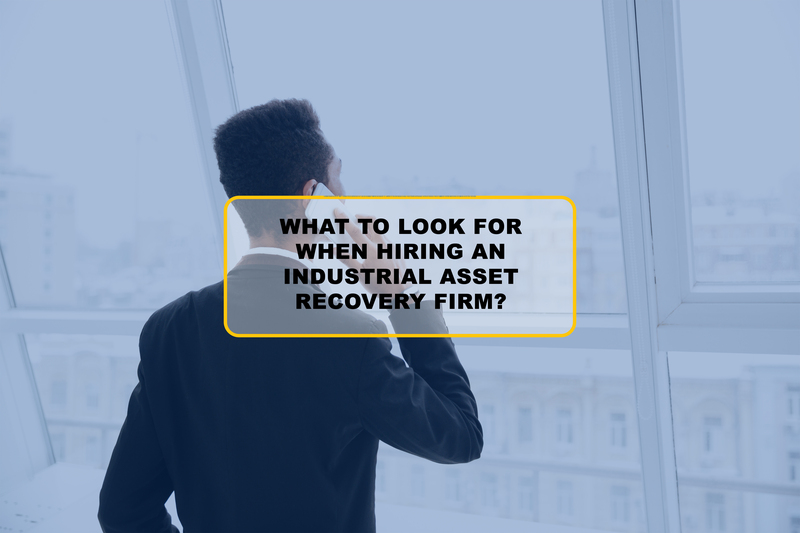 Take the above best practices to heart when you are looking for an industrial asset recovery firm. The partner that you choose can make the difference between your company having a new, ongoing revenue stream/cost savings vehicle and an overblown recycling program (that ends up costing you more money than simply recycling). You may not be aware of all the opportunities that you have with the equipment that you are just sitting on. Although the equipment may not have any value to you in its primary form, it may have a great deal of value in another form. Consider more than the liquid cash that you may receive from sales of your old equipment. Asset recovery is more than liquid cash - it is also an opportunity for clarity in the production process, cost savings in repairs and maintenance and the ability to more accurately and quickly update your company's infrastructure to the modern industry standard of technical compatibility. Make sure that you have an industrial asset recovery firm that understands all the opportunities that are available to you. Only then will you be able to make the proper decision when looking for this vitally important business relationship.